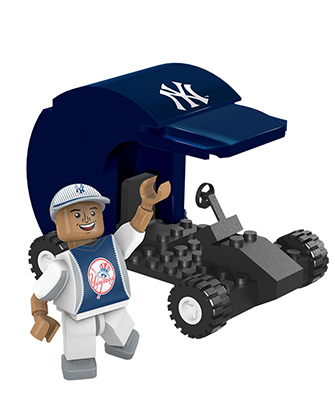 Our new generation of buildable baseball vehicles has arrived! This 89-piece buildable helmet cart is the perfect way to create a memorable pitching change or to unlock your imagination beyond the field. 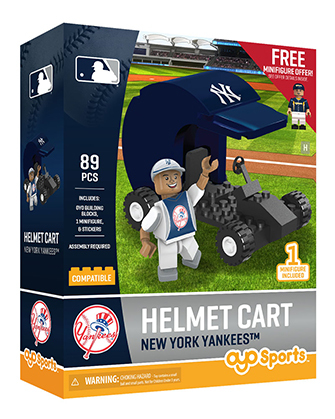 The Helmet Cart is built in the colors of your favorite team and comes with cool team decals, to finish the look. An exclusive, and brand new team fan minifigure is included to drive your helmet! 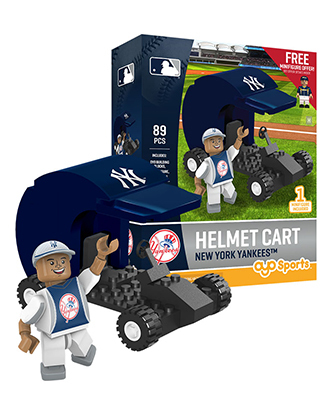 Perfect for my little grandson. Yankees are his favorite team. The item was fine but I think this particular one is overpriced. My grandson loves OYO products.